Whoa. 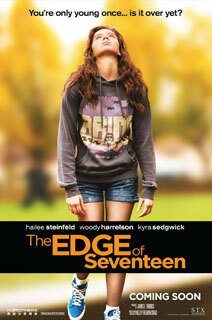 This looks like another teen movie, but actually is one of the best coming-of-age movies I've ever seen. This literally starts with the main character asking her teacher for help or she'll kill herself. I scoffed and muttered "not another whiny teen angst movie" but then a few minutes further you quickly realize the many layers of rhetoric this movie utilizes that in hindsight, her uttering the words "kill myself" felt more interesting than annoying. It kind of reminded me of Juno - if that movie didn't painstakingly try to be witty. I have to laud the script of this film. It felt really minimalist - not really using big words or speeches but instead relying on really simple dialogue you hear every day and I found it immensely interesting to see those words being used in the oftentimes awkward and silly repartee between the characters. The 'family resolution' right at the end felt abrupt I must say, and is one of the weakest parts of the movie. I never wanted the momentum from the first half of the film to end, I just wanted it to go on and on - particularly the exchanges between Woody Harrelson and Hailee Steinfeld's characters (first time seeing her but I thought she was phenomenal in this). Woody's lines in particular had me in stitches. Oftentimes, you feel the momentum of the film go in one direction, but abruptly pulls you out of your expectations and throws you a curve ball. The irony in most of Woody's and Hailee's scenes is there's actual wisdom in the not-so wise words exchanged between them. This movie doesn't even seem to try to be wise.